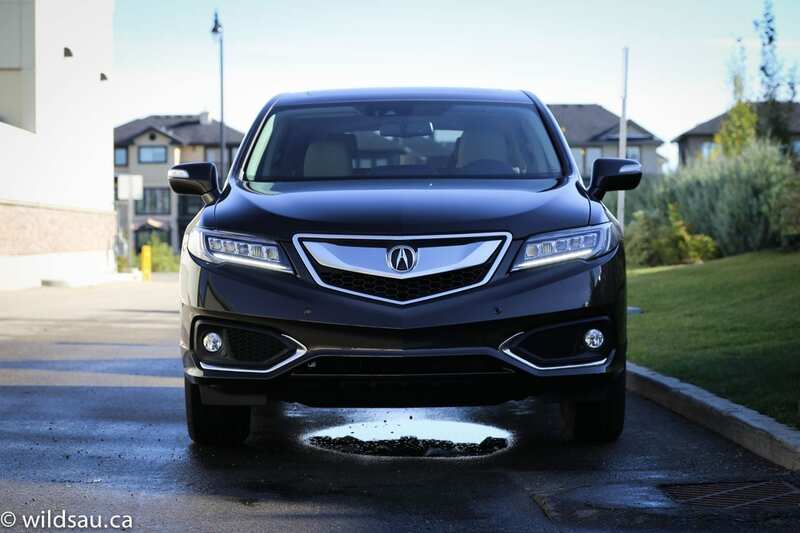 A nice complete package, the RDX impresses in every level of trim. 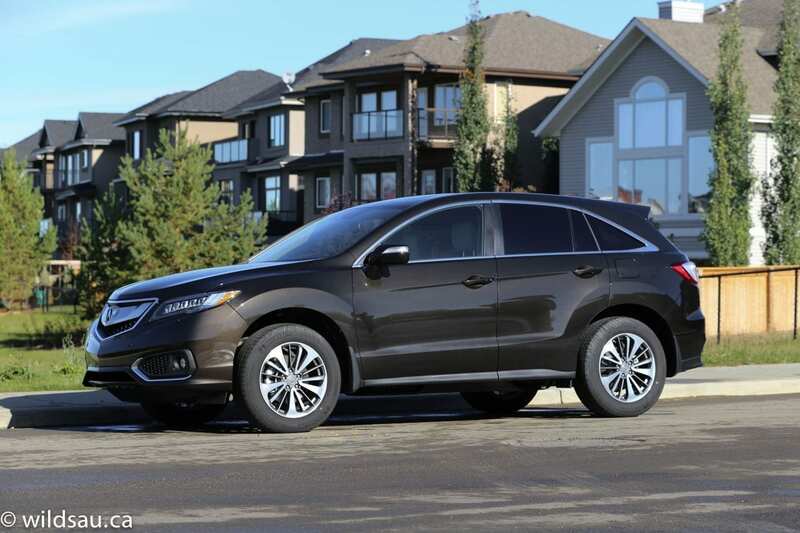 Acura’s RDX is a good-looking vehicle, but there’s nothing that will catch your eye and hold on to it. Nothing ground breaking, or even exciting, to be honest. My review vehicle’s rich Kona Coffee paint looked fantastic, and its glittering Jewel Eye LED headlights are a nice touch. The LED tail lights set the rear end apart when the sun sets, and the fat 235/60 tires on 18-inch rims are sweet. 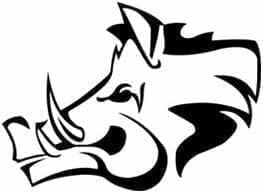 But in the end, the shape is pretty simple, and that’s that. I don’t think you’ll find too many people that will be writing the styling team an appreciative letter. I was a bit surprised once I got in. The RDX’s head room is just adequate – at 5’10”, I had an inch or two to spare, that’s it. Acura’s materials are fantastic – you’ll find soft-touch plastics anywhere your hand might fall, and the ivory interior colour looks rich. 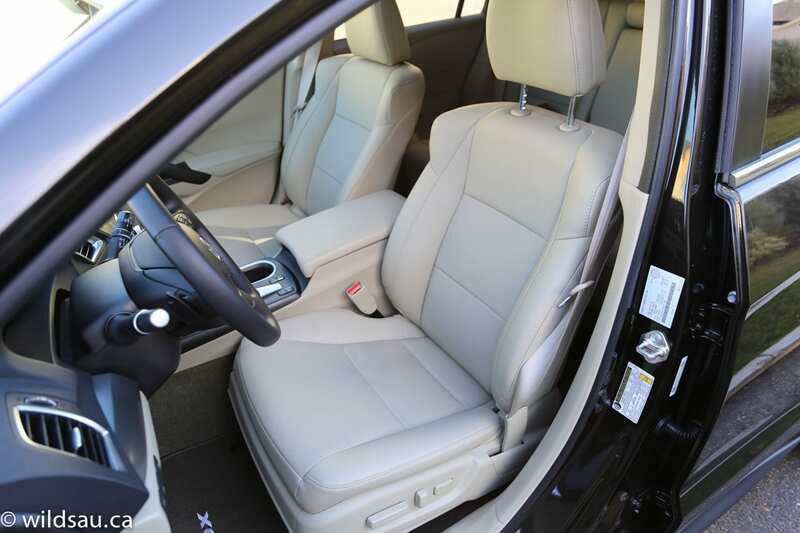 The heated, cooled and power adjustable leather seats are very comfortable and offer a surprising amount of bolstering too – they’re sportier than you’d expect in an SUV/crossover. 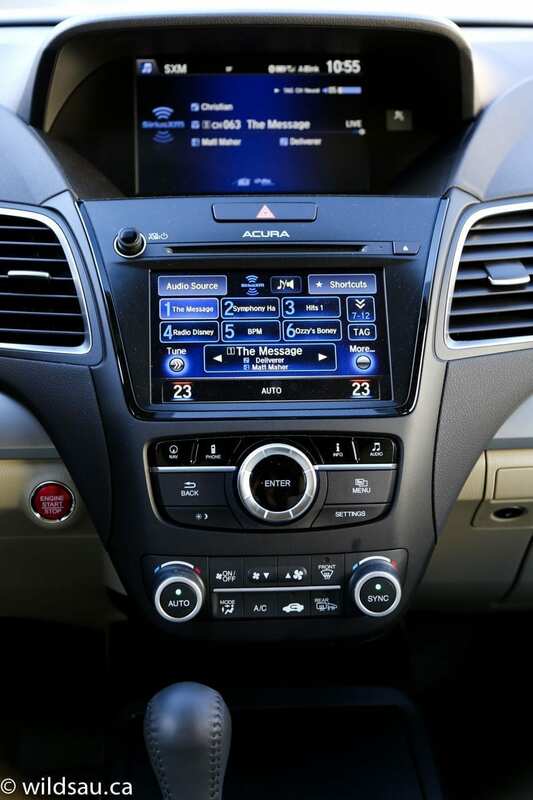 Acura’s two-screen system fills the dash and centre stack – it’s still not the most user friendly system in the world to me, but it’s not horrible. The logistics of the layout and interface take a while to get used to, but it’s alright. Controlling it is done by touching the lower screen, which displays a contextual menu interface, or by using the rotary dial knob. 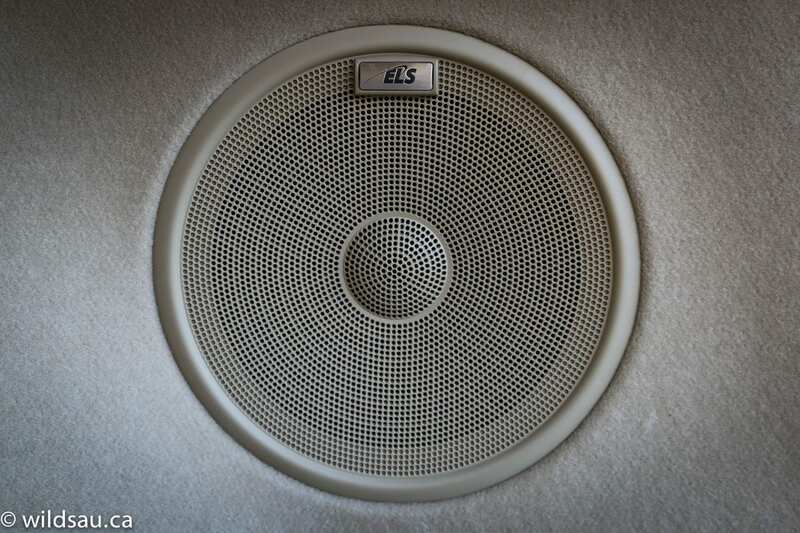 The system handles your navigation, phone and the ELS audio system – with 10 speakers, it sounds amazing, and I think it’s one of the best systems in the industry. 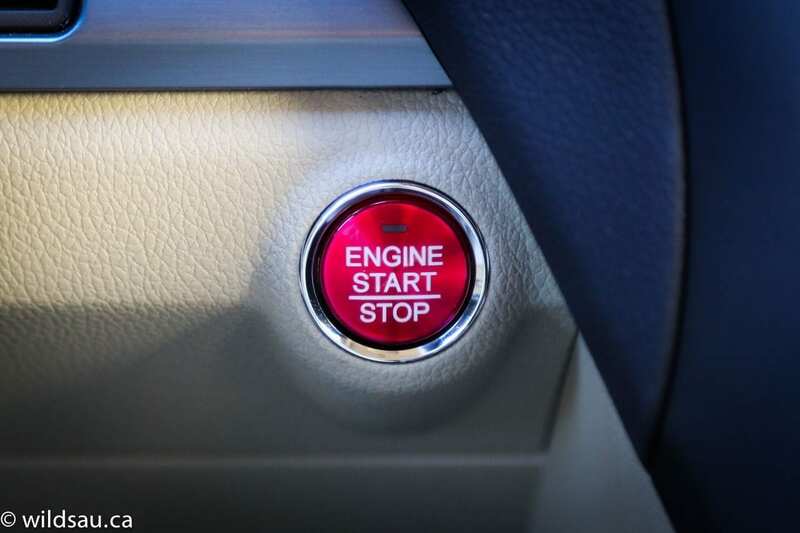 There’s a standard-sized sunroof above, and keyless access, a push-button start and something unusual – a remote starter. 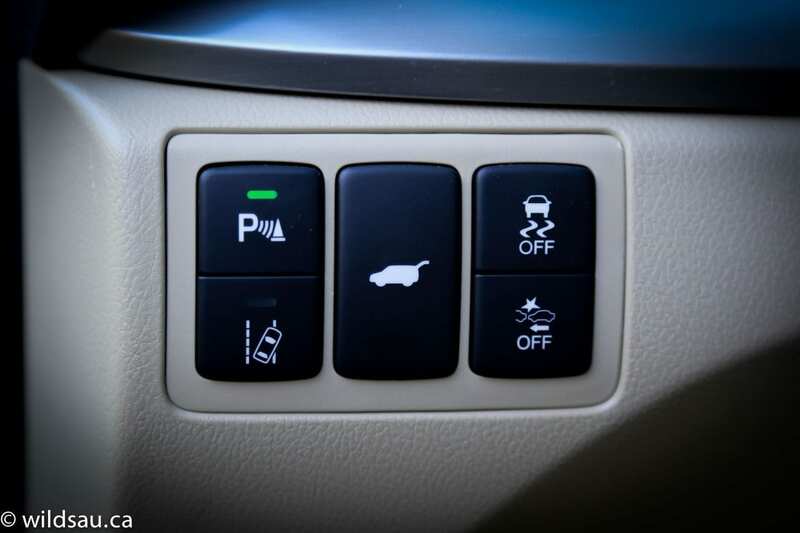 If you’re a driver assistance technology hound, you’ve come to the right place. In this trim, you’ll get blind spot monitoring system, cross traffic monitoring, multi-view back-up camera with front and rear parking sensors, adaptive cruise control, collision mitigation braking, forward collision warning and lane keeping assist. Wow! 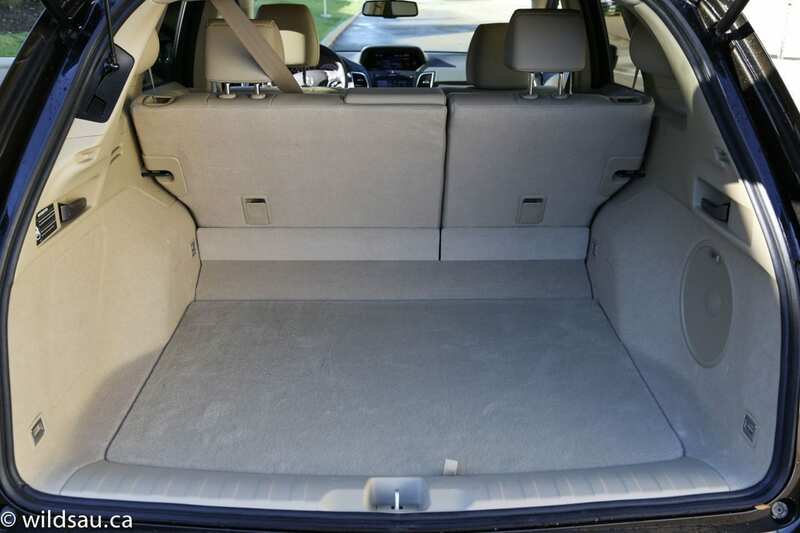 The three seats in the back are spacious, with lots of head room and leg room. The two outboard seats are very comfortable and heated, but other than that, there’s nothing in terms of comfort or convenience. Other than a middle seatback that folds down to become an armrest with a pair of cupholders. A bit surprising in a vehicle that’s so loaded. The middle seating position is actually reasonably usable, and our three kids were quite pleased with the space back there. Two sets of LATCH anchors help you keep your little people’s seats in place. I loved all the storage I found around the RDX cabin. Between the large carpeted bin that hides away under a sliding lid at the front of the console (where you’ll also find USB, auxiliary and 12V plugs) and the huge space under the equally huge armrest, I had plenty of room to put my stuff. Pop the power tailgate to reveal a spacious 739 litre trunk. I think it’s small compared to the competition, but you can fold the rear seats down – they split 60/40, and when they’re out of the way, you have a monumental 2178 litres to work with. 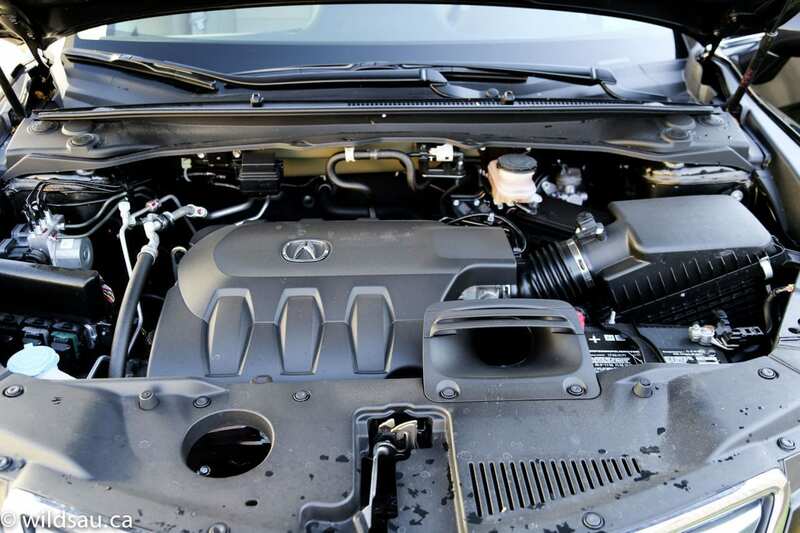 You shouldn’t be surprised to find Honda/Acura’s venerable 3.5-litre V6 purring up front. It puts out 279 HP and 252 lb.ft of torque. Mated to a 6-speed automatic and an all-wheel drive (not Acura’s awesome SH-AWD though! ), the package is rated at 12.4 L/100 km (19 US mpg) in the city and 8.6 L/100 km (27 US mpg) on the highway. I ended up averaging 11.1 L/100 km (21 US mpg) which isn’t too bad. I have to say I loved driving the RDX. It feels very powerful and is exceptionally responsive to throttle input, from a standing start and when you’re on the go. Additionally, the power delivery is very linear – it just keeps pouring it on and it’s impressive in every driving situation. The RDX is a smooth operator, but if you put it into Sport mode, it almost becomes a little abrupt in its mannerisms. 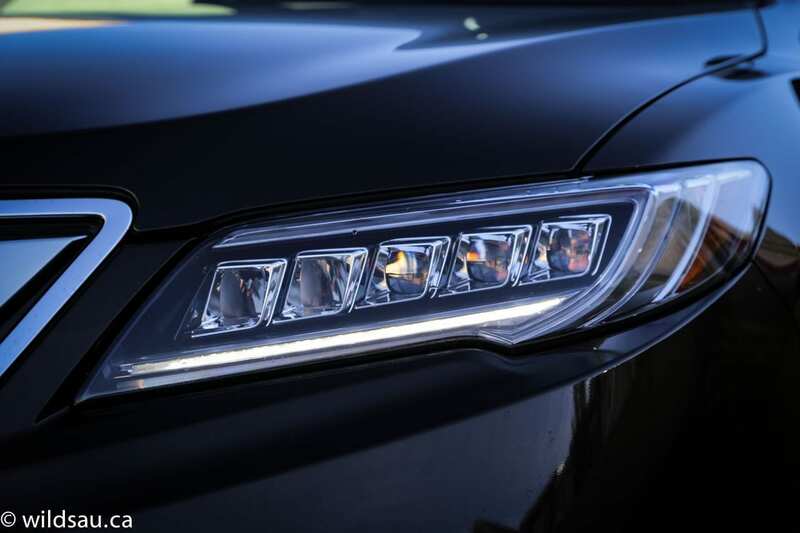 Let me put it this way – the RDX is more responsive in Normal mode than many cars are in their Sport mode. 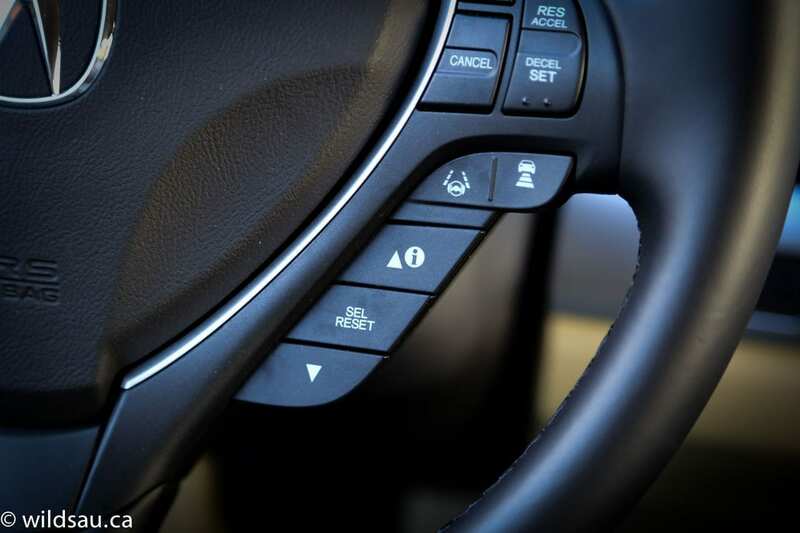 If you like doing your own shifting, the RDX allows you to do that with paddle shifters. The shifts are reasonably quick, but the transmission is quite intelligent when left to its own devices. 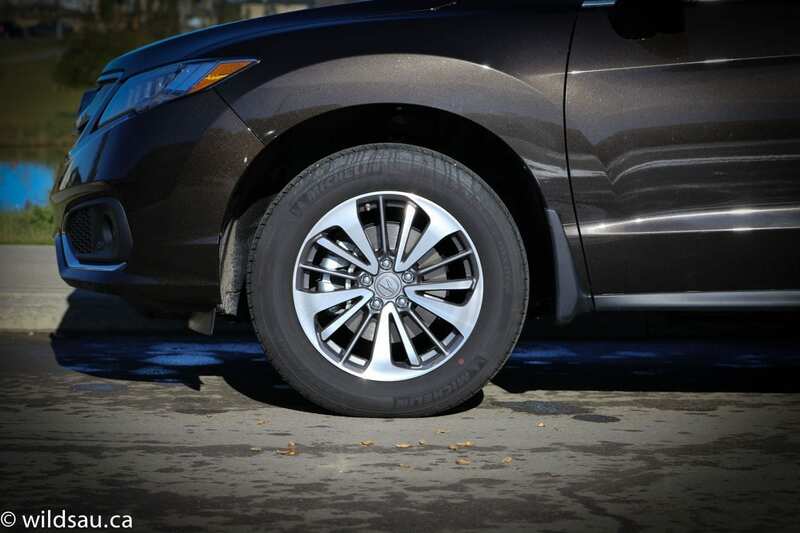 Acura has tuned the RDX suspension set-up very well. The ride is excellent, and regardless of where you’re driving, it comes across as very refined – even over the rough stuff (read: Edmonton’s roads). 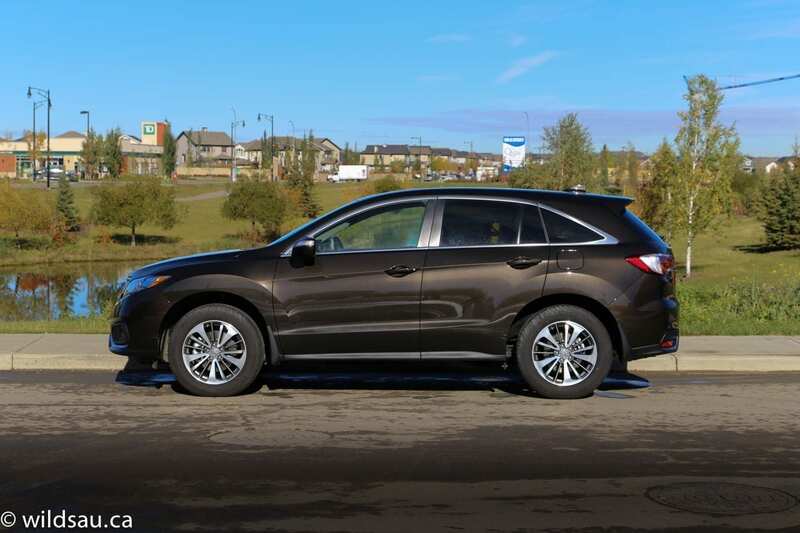 The RDX handles well but does feel top heavy – throw it into corners when you’re moving along nicely, and you’ll experience quite a bit of body lean and it will understeer. But the vehicle’s grip is fantastic and it feels surprisingly dynamic. 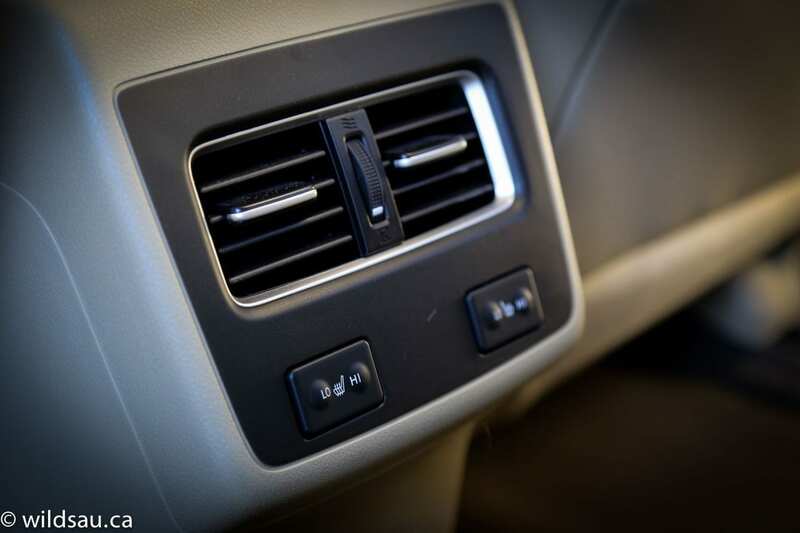 Adding to the refinement is the noise level – the RDX is very quiet around town and on the highway – engine, road and wind noise are all muted. 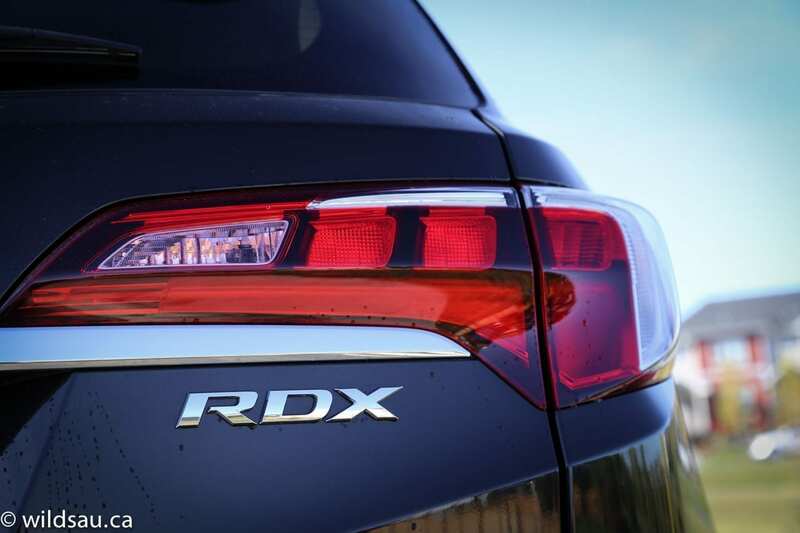 Visibility out of the RDX is outstanding and that includes shoulder checks. While it’s a powerful vehicle, towing is not its forte, and its capacity to do that is limited to 1500 lb. The RDX is a really great vehicle. I basically liked everything about it. 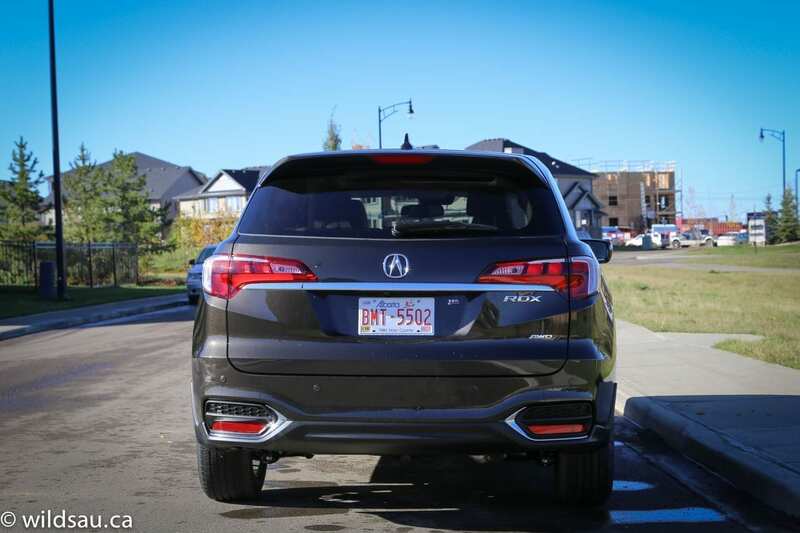 Something to note – the vast majority of the features in my review vehicle, including the bulk of the safety technology, are standard equipment in the base trim RDX. 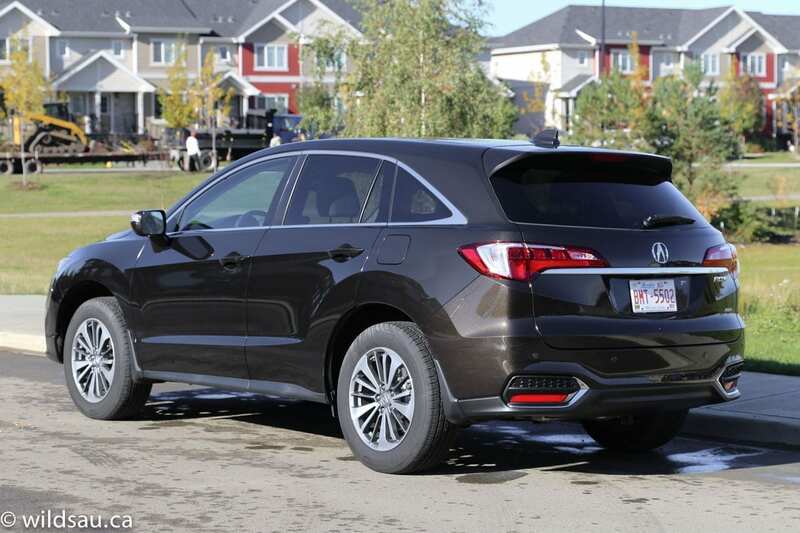 To say the base RDX is very well equipped is an understatement. WAF (Wife Acceptance Factor) was high. She said it felt luxurious and well put together, and she rather enjoyed driving it, saying it felt expensive on the road. I agree! There’s a reason you see a lot of these on the road. 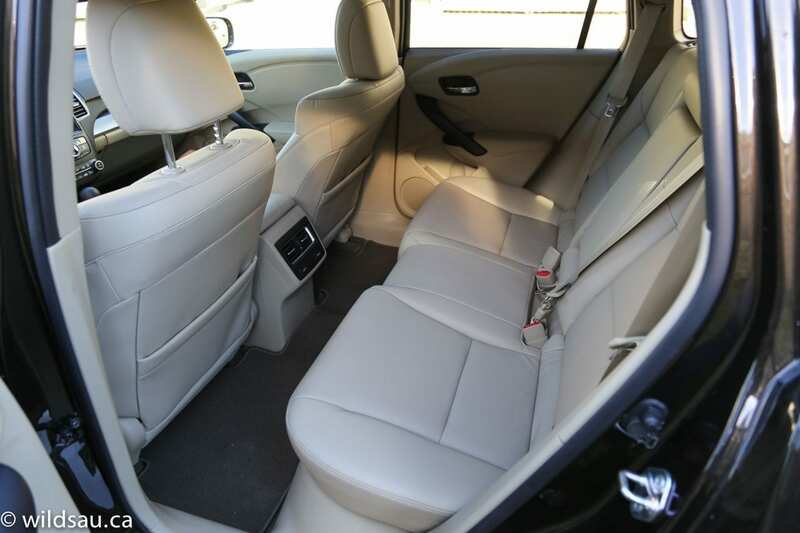 Well-equipped, spacious, luxurious and refined, it easily competes with the others in its class. I would put this one at the top of my list if I was shopping in this category, but I’d stick with the base trim. Disclosure: Vehicle was provided by Acura Canada.